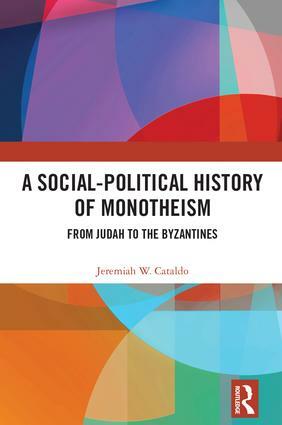 In A Social-Political History of Monotheism, Cataldo shows how political concerns were fundamental to the development of Judeo-Christian monotheism. Beginning with the disruptive and devastating historical events that shook early Israelite culture and ending with the seemingly victorious emergence of Christianity under the Byzantine Empire, this work highlights critical junctures marking the path from political frustration to imperial ideology. Monotheism, Cataldo argues, was not an enlightened form of religion; rather, it was a cultic response to effluent anxieties pouring out from under the crushing weight of successive empires. This provocative work is a valuable tool for anyone with an interest in the development of early Christianity alongside empires and cultures. There are no end of histories of monotheism that concentrate on its gestation: how monotheism originated. Cataldo’s Social-Political History of Monotheism instead breaks new ground by telling the story of monotheism once it had taken shape, and how it developed. This is history on a grand scale: original, ambitious, and bracing. Chapter 9: Persecution or the End of It? Jeremiah W. Cataldo is Associate Professor of History in the Frederik Meijer Honors College at Grand Valley State University, USA. He is the author of several books, including Breaking Monotheism: Yehud and the Material Formation of Monotheistic Identity, and Biblical Terror: Why Law and Restoration in the Bible Depend Upon Fear.